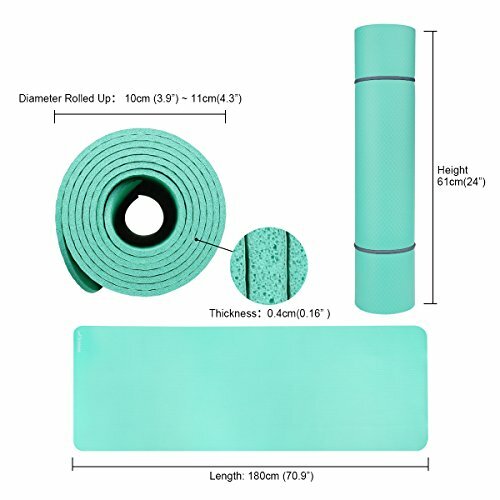 ❤ THINNER MAT, MORE STABILITY: 4mm in thickness, which deepens the ground perception, provides a better stability, durability and grip under proper joints protection. 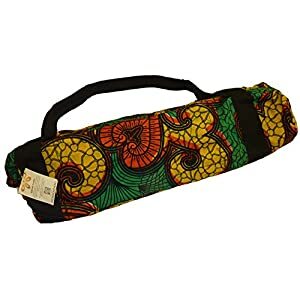 Ideal for advanced yoga practitioner who have gradually master the essentials of yoga. 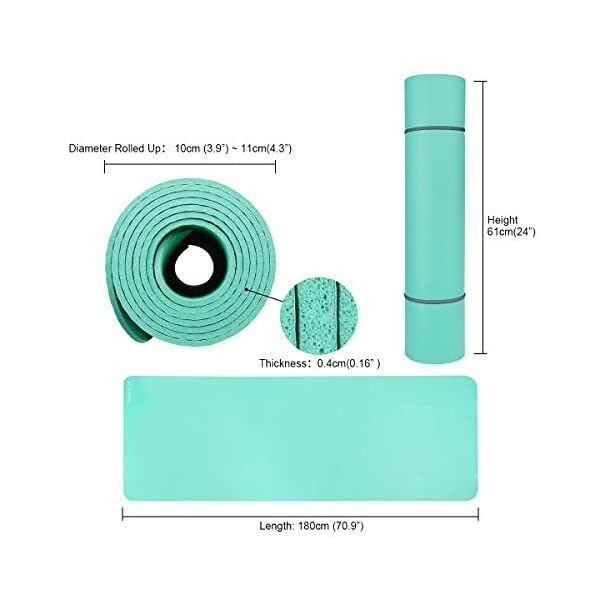 ❤ MORE PORTABLE: Made of high-density foam NBR material. 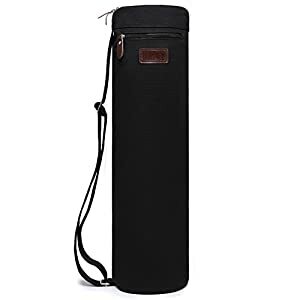 Same weight but takes just ⅔ of your storage space. 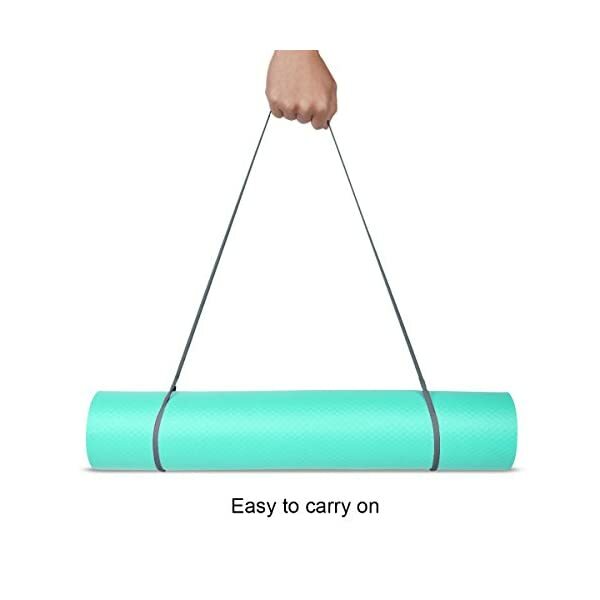 We also provide you a free strap so that you can take it wherever you want, like travelling, outdoor workout. 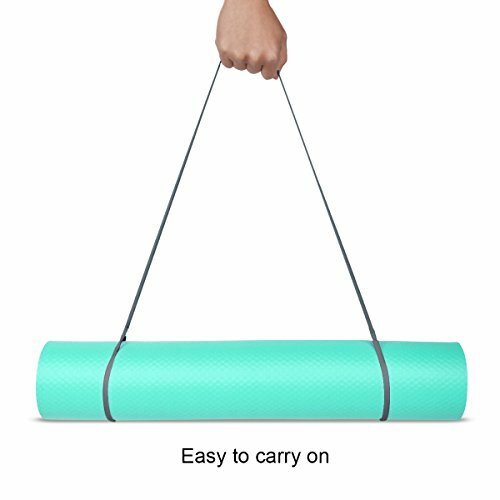 Note: the strap is rolled up in the yoga mat not attach to it when delivered. 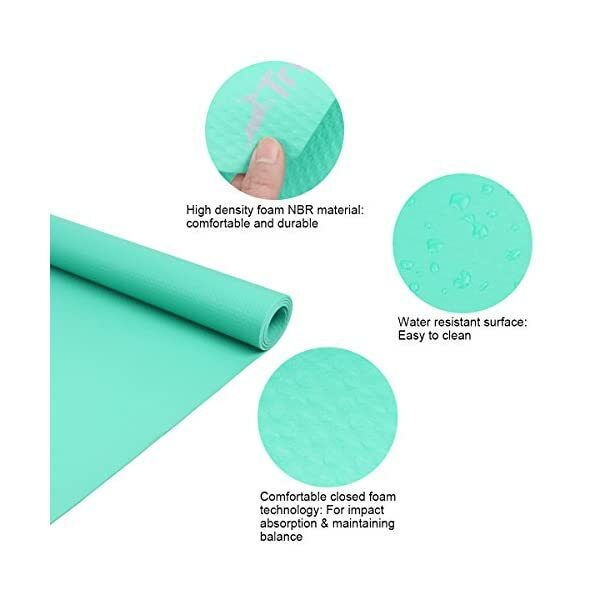 ❤ SWEAT RESISTANT: Honeycomb textured surface can offer excellent traction and avoid slipping. 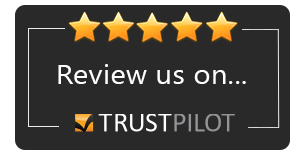 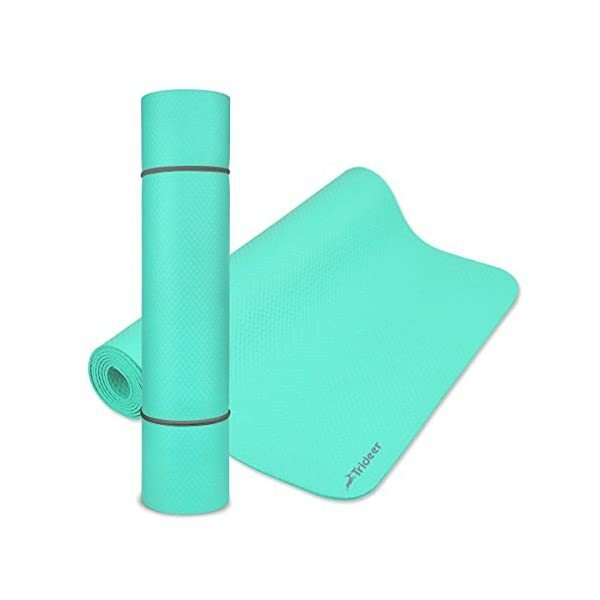 Suitable for yoga, gymnastics, pilates, stretching, abdominal exercises and general workouts. 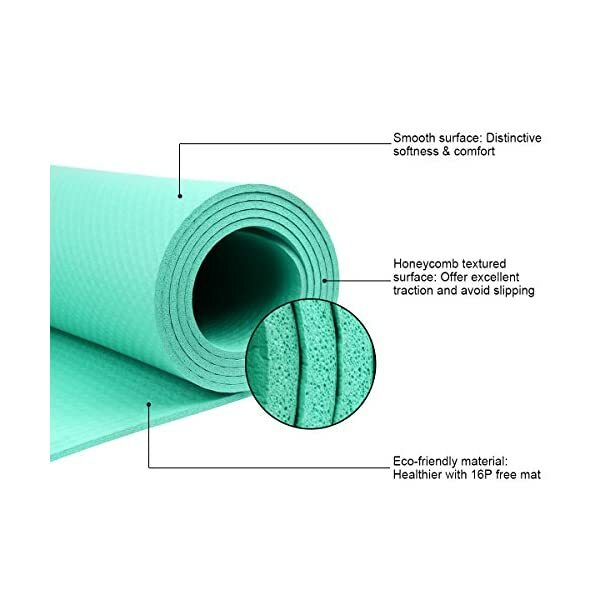 Sweat resistant feature makes it easy to clean. 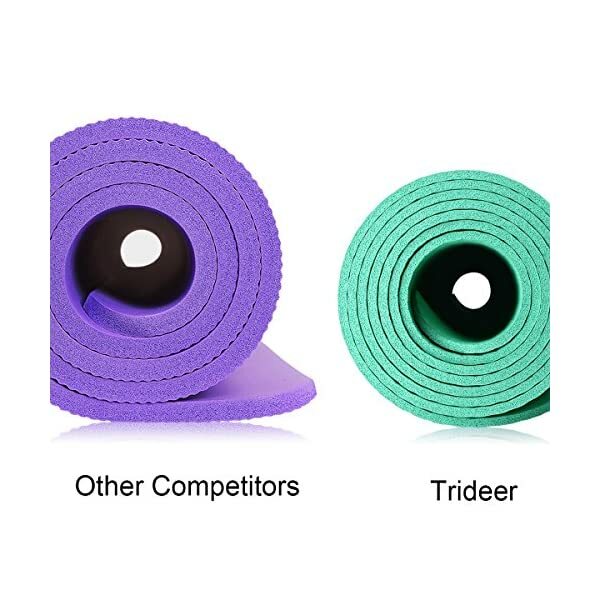 Trideer 4mm yoga mat made of High-density foam NBR Material, it bounces back to shape very quickly after changing poses. 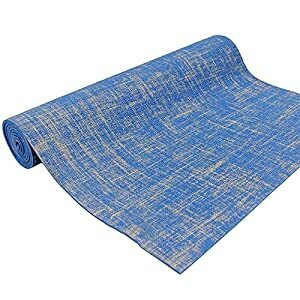 The thinner the mat, the more you can connect with the floor and maintain balance，the high-density material also gives your knees and joints appropriate protection. 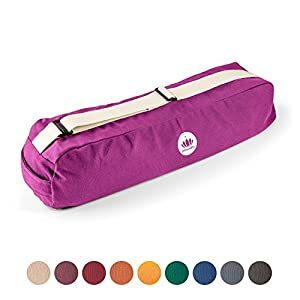 The thinner the mat,the more portable，easy to carry on for travel or outdoor workout. 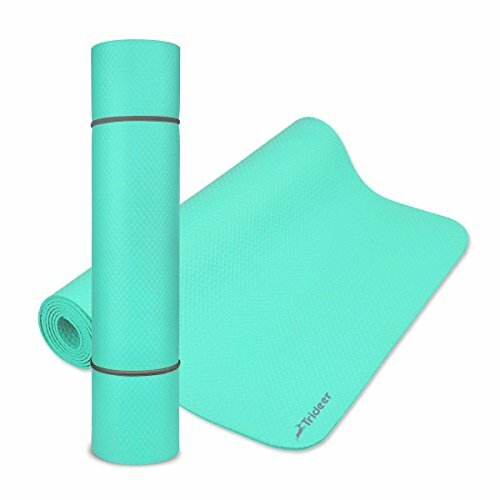 If your goal is to improve balance quickly and learn more advanced poses, a thinner mat is more ideal. 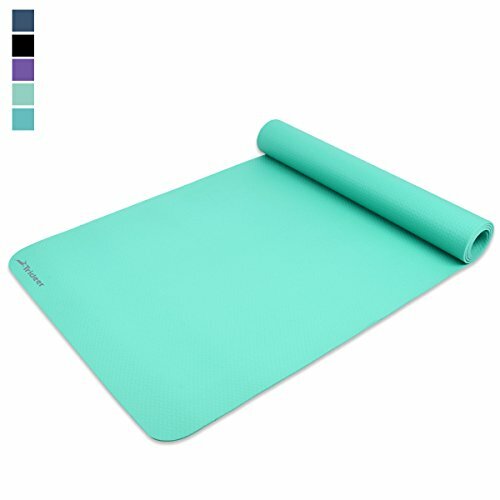 6P Free – This NBR yoga mat is free of the Phthalates DEHP, DBP, BBP, DINP, DIDP and DNOP. 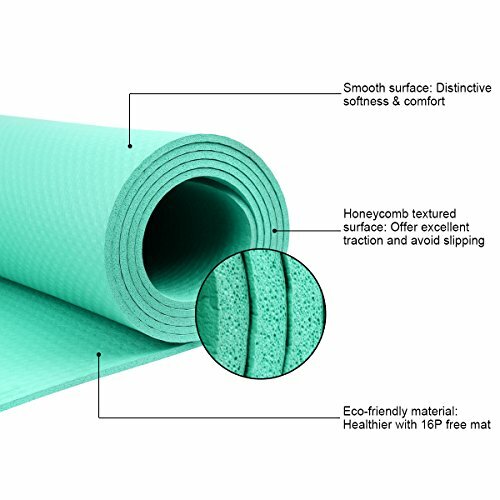 Constructed to prevent sweat, dirt and bacteria from absorbing into the mat’s surface and core, making cleaning a breeze. 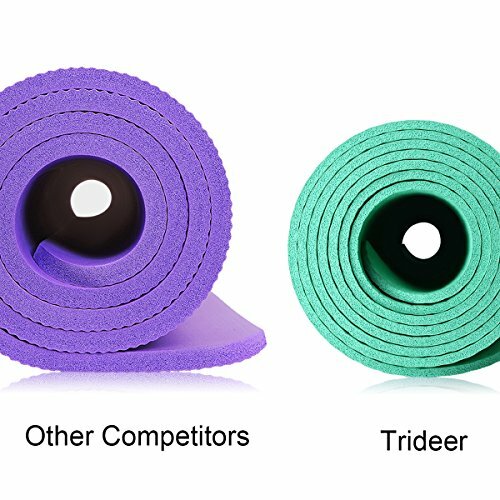 Suitable for yoga, gymnastics, pilates, stretching, abdominal exercises and general workouts. 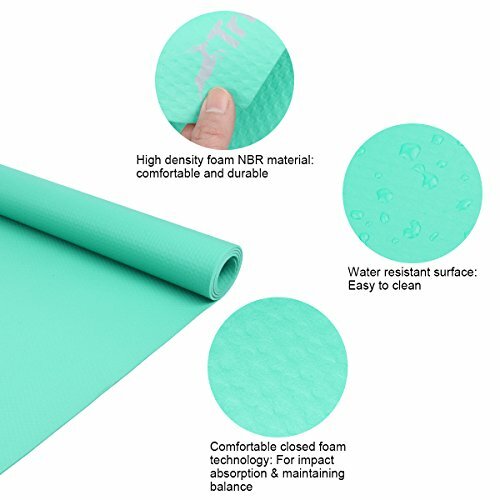 Sweat resistant feature makes it easy to clean. 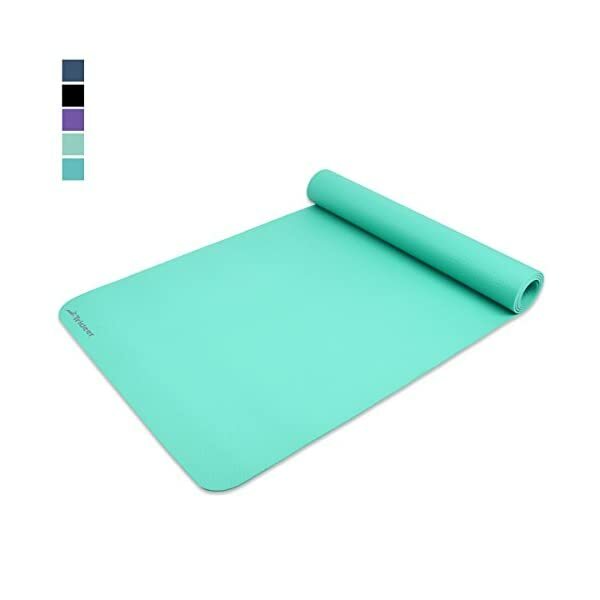 ❤ MATERIAL-6P FREE: This NBR mat is free of the Phthalates DEHP, DBP, BBP, DINP, DIDP, and DNOP.